When it comes to athletics, everyone has different ways of motivating themselves and becoming better at training. Some have a workout buddy, others subscribe to highly-scientific online training programs. Others employ a coach. 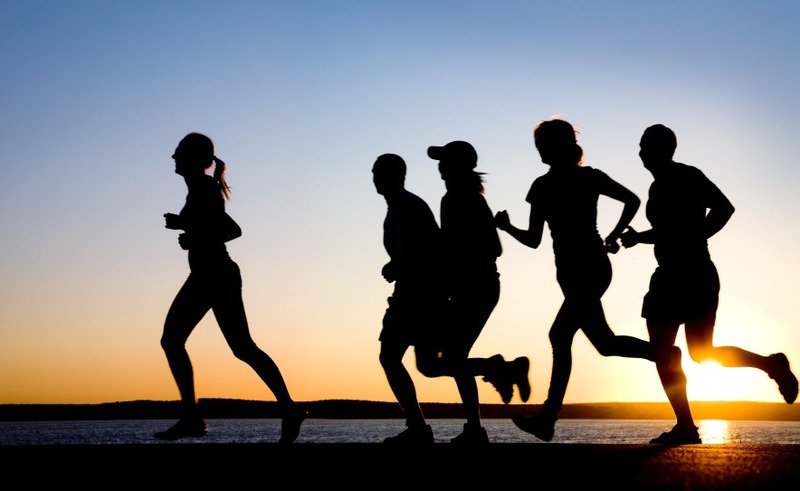 One of the most common ways to stay engaged and motivated is to join a local triathlon club. Triathlon clubs might be organized by a group of avid racers, a university or college, or perhaps a local triathlon shop. 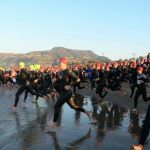 They normally try to be highly-inclusive, and afford triathletes of all skill levels with the ability to train with others at their fitness level and improve in their training and racing. While many triathlon clubs emphasize the community associated with triathlon, others are highly-focused on helping racers improve their times and get to the next level of performance. Perhaps the most obvious reason to join a triathlon club – or any club for that matter – is the community that goes along with it. Many people find that triathlon not only offers a fun pastime, but also a great group of people who can eventually turn into good friends. Being part of a club will accelerate the process of meeting a bunch of people who you know you have at least one thing in common with. Triathlon clubs and groups are known for being very accepting, and having an attitude of the more the merrier. They will welcome you with open arms. For those who are looking for a little outside training motivation, a triathlon club can be a perfect place to find it. We know that some people prefer to train solo — the lone wolf type. They prefer for the workout to be between them, a workout plan, and their training watch. Others, however, prefer a group who can keep you going on those days when you really don’t have the zip to get a quality workout in. In most triathlon clubs, you will find a wide range of skills. Everything from people who intend to be competitive in an Ironman, to those who are new to the sport. Encouragement will be abundant. If you are looking for a way to stay motivated, the club could provide the type of accountability and inspiration you are looking for, and can help you understand how those who compete at the level you would like to aspire to got there. Very few of us have the time to be triathlon coaches or certified personal trainers, and we are always searching for new workouts and tips. You can get that by reading blogs like this one or a triathlon training book, or you can use the network of personal experience that is passed along from one athlete to another. Triathlon groups are a great place to take advantage of this type of tribal knowledge. Experienced triathletes can take newbies under their wing, and simply listening to a group of triathletes chat over coffee after a group workout can provide enough tips to make you to practice all week. Many triathlon clubs also have a newsletter, blog, and forum where you can compare notes with each other and learn from other triathletes. 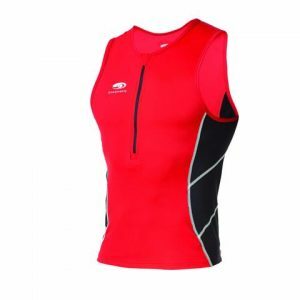 Triathlon clubs often get access to gear discounts from sponsors and local tri shops. One of the lesser-known benefits of triathlon clubs (but it will soon be a well-known benefit after you join) is that of discounts on gear, tri equipment — everything from running shoes to triathlon wetsuits and bikes. For triathlon shops and manufacturers, a triathlon club is a dream demographic. A small group of people, all of whom have proactively joined a club because they enjoy triathlon. For the shop or manufacturer, it makes sense to befriend this group and offer great deals on gear, and to make sure he or she keeps the group very happy. Many shops and manufacturers will actually sponsor a club in return for deals and discounts to be offered to the members, creating the ultimate win/win: More sales on one side, and discounts that you wouldn’t otherwise find on the other. If you already are part of a triathlon club, make sure you ask about what sponsor deals you have access to. For experienced triathletes, one of the most rewarding benefits of being part of a broader triathlon club is the opportunity to pass learnings on to newer participants. Even someone who has done just a handful of races will have hard-learned lessons that a newbie would be very interested in absorbing. While reading articles from sites like Complete Tri is a great way to learn, there is no substitute for being taught by someone who has done it before. It is a way to pay the sport back, as nearly everyone who has done many triathlons once had a mentor who helped them get past the first one or two. Now it can be your turn to be the mentor. We know that everyone learns and trains differently. Some are “lone wolves” who prefer to run, swim, and bike by themselves. Others will never get a decent workout in if they are not using the buddy system. Regardless of your style, there are many benefits of joining a triathlon club, and fortunately there are triathlon clubs in most cities and towns across the country. We encourage you to check them out.